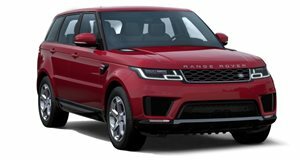 Just a few weeks ago, Land Rover rolled out a new inline-six version of its Ingenium engine, introducing it in its home market on a limited-edition Range Rover Sport HST. Now it's confirmed that the new engine will indeed be making the transatlantic voyage, but it won't be restricted to the special model on this side of the pond. Here in North America, the mild-hybrid straight-six will be available on the Range Rover Sport in two states of tune, only the more potent of which will be reserved for the special HST model. The new 3.0-liter turbocharged inline-six is augmented by an electric supercharger, powered in turn by a 48-volt electrical system (not unlike the one that rival Audi's been championing) in a mild-hybrid setup. In base spec – dubbed P360 and available on SE and HSE trims – the advanced powertrain produces 355 horsepower and 365 lb-ft of torque. That's already more than the 340 hp and 332 lb-ft offered by the old 3.0-liter supercharged V6 it's expected to replace across the Jaguar Land Rover lineup, and is said to be better balanced and more responsive to boot. That's a key benefit of the electric supercharger, which takes just a half-second to spool up – long before the conventional turbocharger comes on steam. If that's not enough, though, there's an even more powerful version on offer. The same engine in the Range Rover Sport HST P400 is tuned to deliver 395 horsepower and 406 lb-ft of torque, taking just 5.9 seconds to reach 60 mph on its way to a 140-mph top speed. Pricing starts at $68,500 (plus a $1,295 destination fee) for the Range Rover Sport SE P360 and tops out at $82,950 for the HST P400.